Cold as ist gets - it is winter and snow is covering the Alexandra Bridge near Yale, British Columbia, Canada. 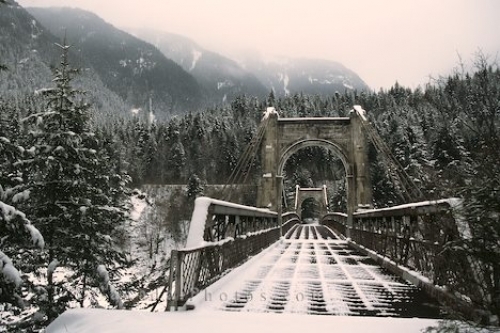 Alexandra Bridge near Yale in British Columbia, Bridge covered with snow in the wilderness of British Columbia, Canada. Photo of the Alexandra Bridge, a suspension bridge spanning across Fraser River near Yale in British Columbia.